All working parents should understand the dependent and child care tax credit, which reduces the amount of federal income tax you owe. If you paid a qualified caregiver or daycare center to care for a young child so that you could work or look for work, you probably can claim the child care tax credit. The child care tax credit is a percentage, based on your income, of the amount of child care expenses related to work. The percentage can be as low as 20 percent and as high as 35 percent, based on Internal Revenue Service tables. The amount of child care expenses that can be applied toward the credit is capped at $3,000 for one child and $6,000 for more than one child. 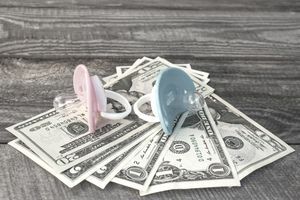 Care benefits you received from your employer, which were excluded from your salary, will reduce the dollar value of the child care tax credit. If you're married, both of you must work for pay. The care must have been for a child who was under age 13 or a spouse/dependent who wasn't physically or mentally able to care for himself. You and your spouse must have received earned income during the year. The child care provider you paid cannot be another one of your dependents. You'll need that individual's Social Security Number or the child care center's employer identification number. The child care must be work-related, meaning it was necessary for you or your spouse to work or look for paid work. If you are divorced or separated, only one parent may claim a child as a dependent for tax purposes. For complete instructions on how to claim the child care tax credit, see Internal Revenue Service Publication 502.